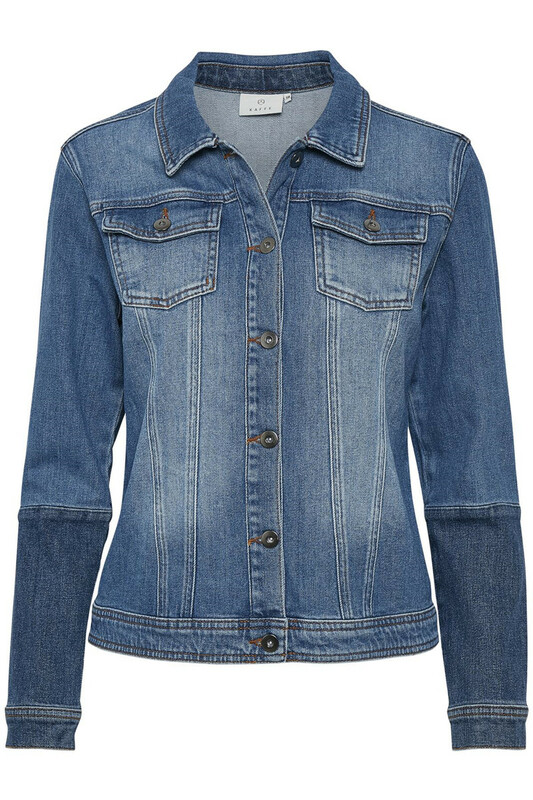 Classic and cool denim jacket in a soft and stretchable quality. 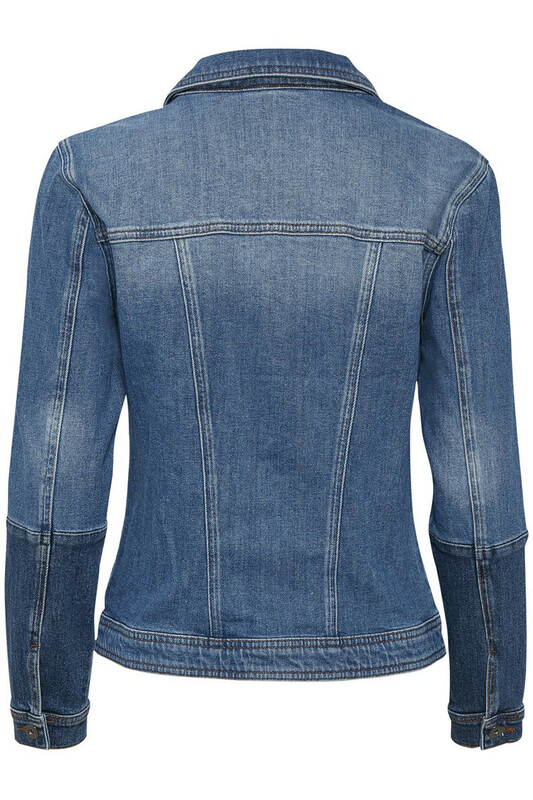 The jacket has button closure on the front, long sleeves with button closure and a cool wash. 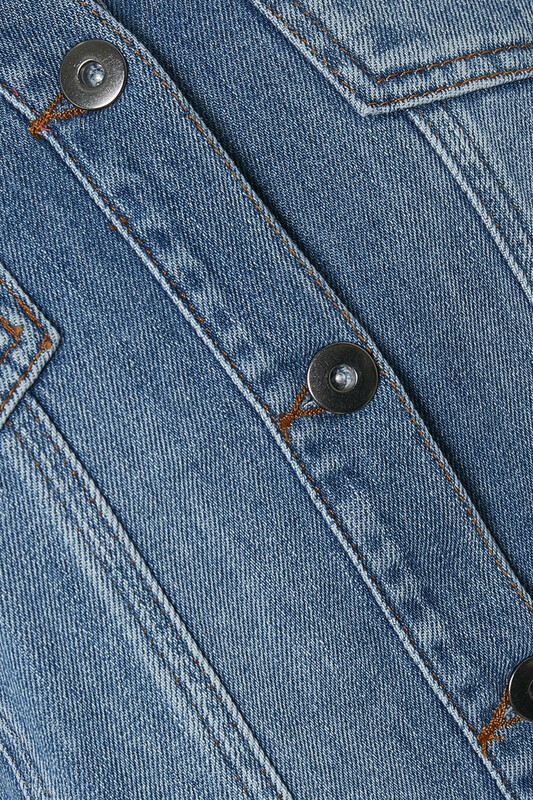 The denim jacket has a classic look, but with a stylish detail of having colour variations at the sleeves, creating a cool look for the jacket. 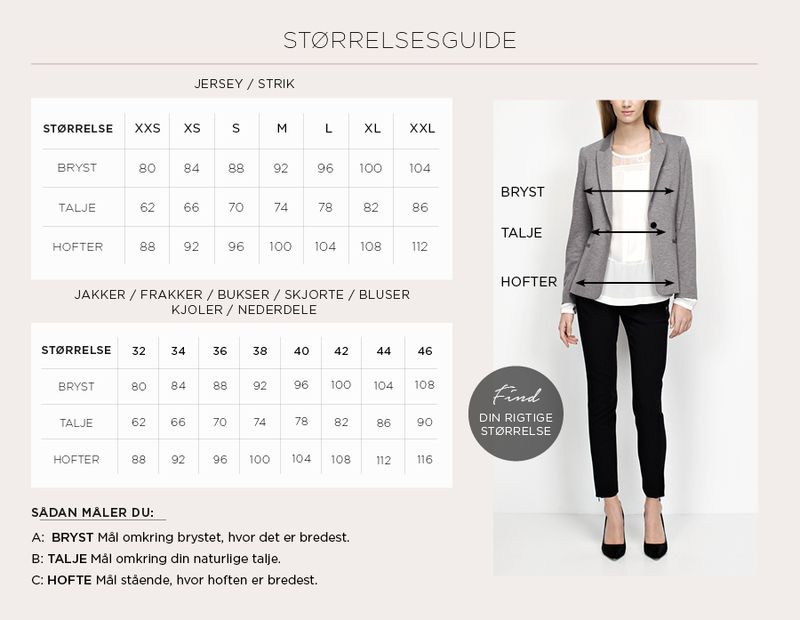 Perfect jacket for any event in the calendar.